1 Beat eggs in a bowl. 3 Put maitake in each serving bowls and pour water egg mixture over maitake. 5 Furnish with Sansho leaves if it’s available. Serve piping hot. 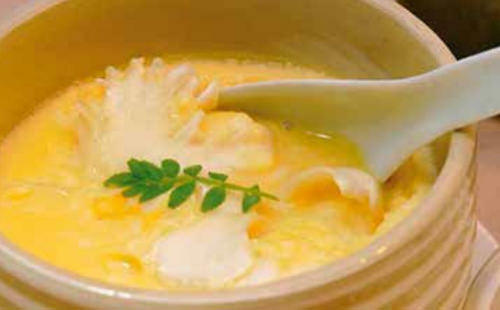 *Delicious combination with soft delicate egg custard and crunchy Maitake mushrooms.